Winter returned just in time to celebrate the new lunar year of the dog in the snow. Happy New Lunar Year! 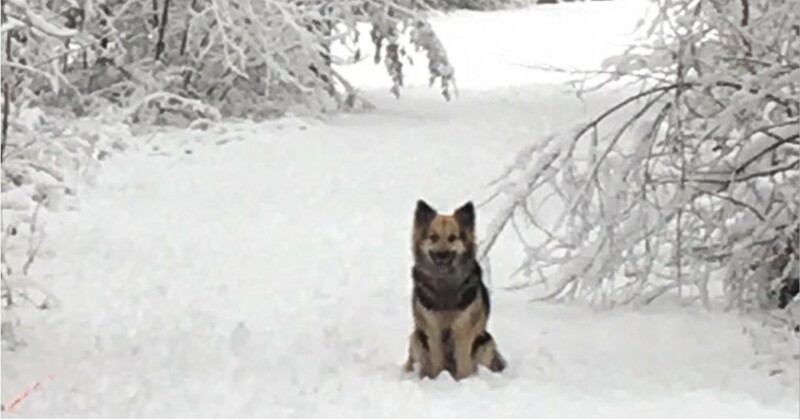 The year of the dog has started with some fun in the snow. In the recently published article “New-Field Plasmonic probe with Super Resolution and High Throughput and Signal-to-Noise Ratio” by Ta-Jen Yen et. Al. a plasmonic tip is described that could be employed in near-field optics, nanolithography, tip-enhanced Raman spectroscopy and other applications. The authors of the article demonstrate what other papers have already talked about in the past: it is possible to use probes like the NANOSENSORS Uniqprobe qp-CONT as basis to make working probes for NSOM or TERS, by using radially polarized light. They go a step further by FIB tailoring the metal film that fully covers the transparent tip. 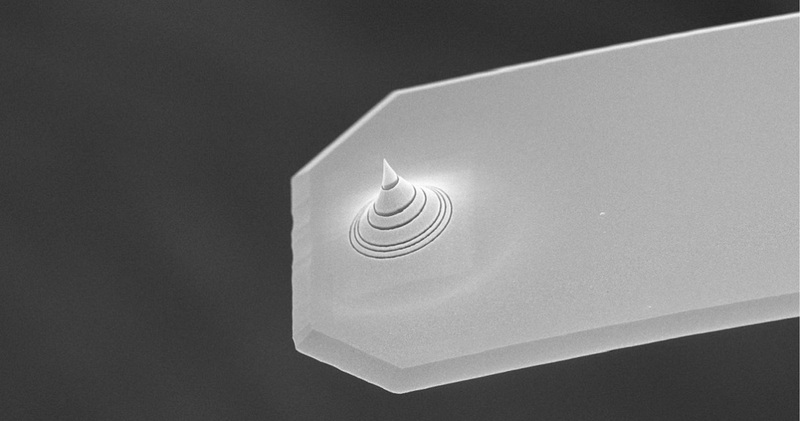 A lot of work was done by research groups at the University of Neuchâtel, more than 10 years back, demonstrating the high resolution properties of microfabricated apertureless (fully metal coated) transparent quartz tips, where a connection between the observed high spatial resolution and longitudinally polarized fields confined at the probe apex was observed. The authors gave direct experimental evidence that, after injection of a radially polarized beam, a confined single spot is produced at the tip apex.